......READY NOW......... TOP QUALITY TINY LONG COAT CHIHUAHUA PUPPIES. CHIPPED AND READY FOR A NEW MUM. These gorgeous loving tiny little babies have huge double coats and a massive personality in a tiny little body. Beautiful even markings and look like miniature border collies and a sable and white. They are very well handled. Eating well and very playful and confident having been born and brought up in the lounge with their parents and ..aunties.. so are very outgoing. 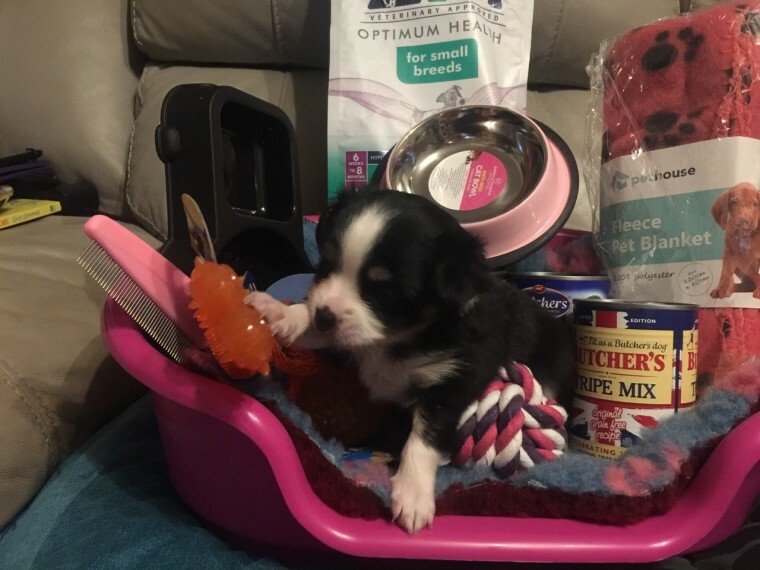 They will bring an extensive puppy pack including their bed.blankets.food.toys.combs etc so everything you will need to give them the best welcome into your family. Both parents are my pets and are very small .dad is a tiny teacup as is the little boy although the girls are still tiny.. Please serious enquiries only and I do want to keep in touch with my babies. I am always at the end of the phone to help.advise. CAN HOLD FOR HOLIDAYS ETC IF DEPOSIT PAID. ..... Miniature dachshund girl puppy born same day also available at .1500 with her own puppy pack. .... PLEASE TEXT OR RING AS I DONT GET MESSAGES ON LINE. ........... ........Thank you.